Wedding cake pictures of three tier round white wedding cakes with red roses. Gorgeous smooth white round cake with white lace and red roses cascading down the three tiers. 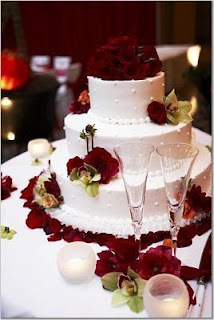 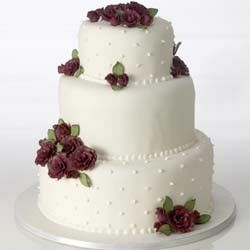 Gorgeous white wedding cake with elegant and romantic draping and blood red roses for accents. 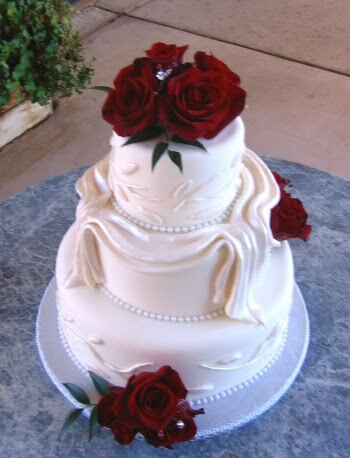 Wedding cake with fresh deep red roses and edible pearls. Round wedding cake with burgundy red roses. 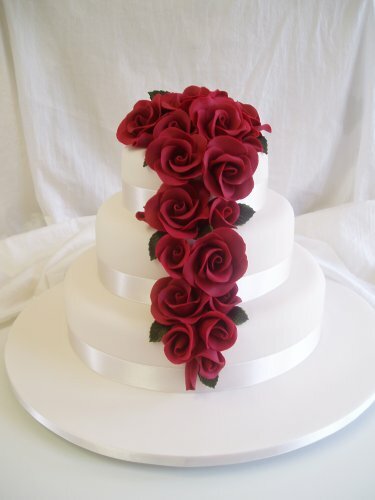 Gorgeous red flowers and roses, cake tiers include stunning red ribbon. 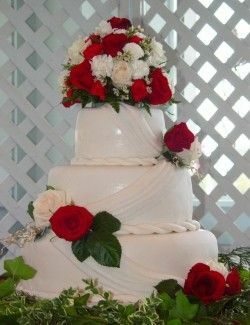 Romantic draping over the cake tiers with red and white rose bouquet on top.